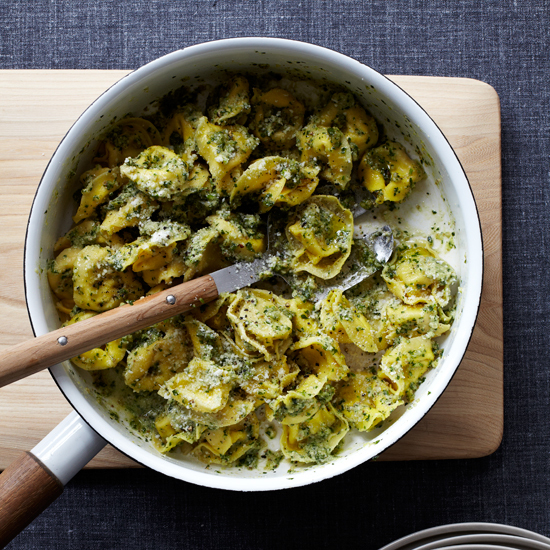 These simple, garlicky dishes include cheese tortellini with walnut pesto and grilled-chicken-and-asparagus salad with parsley pesto. 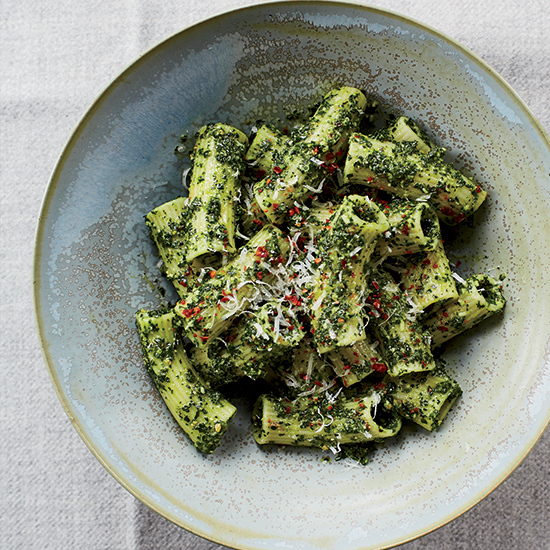 Making pesto with kale instead of basil isn't just healthier, it's unexpectedly delicious. 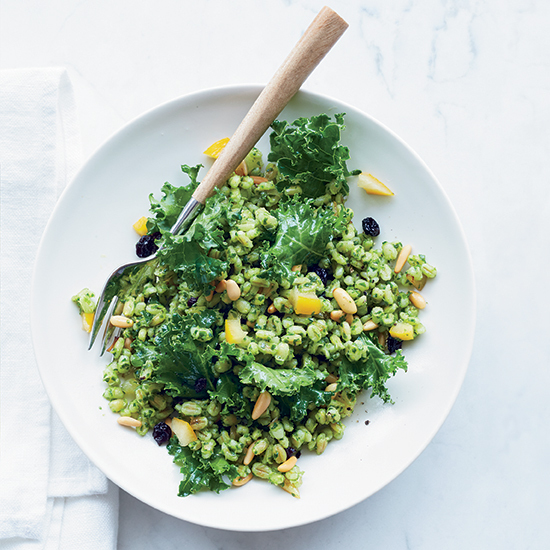 And according to the dish's creator, chef Chris Cosentino, it's a simple way to get kids to eat kale. 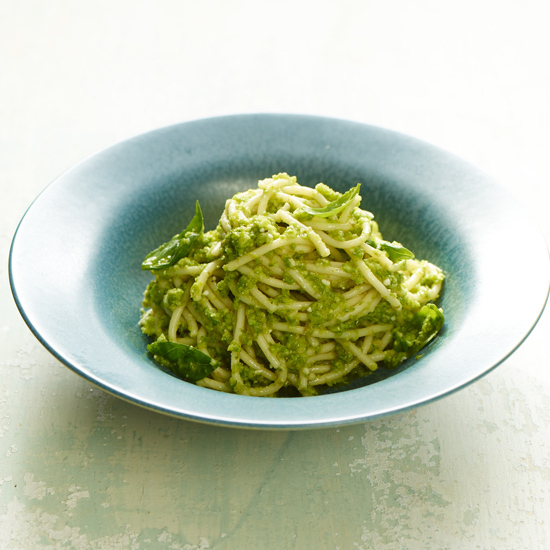 Kale does double duty here: Some of the leaves are pureed with lemon juice and olive oil for a phenomenal pesto, and some of them are torn into pieces that are stirred into the cooked barley at the end. 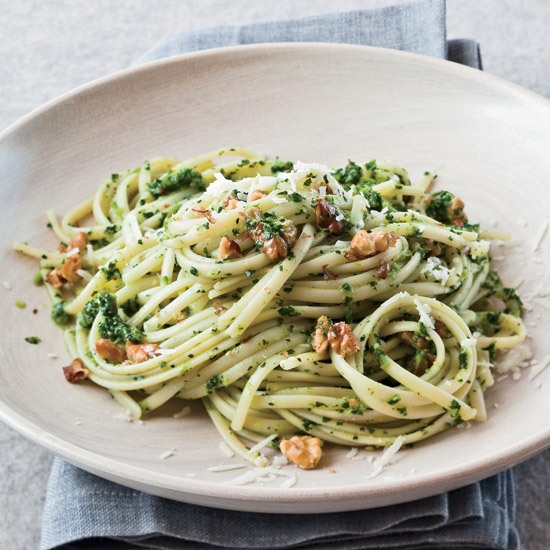 Scott Conant liked the bitterness of the broccoli rabe in this earthy pesto, made with garlic, toasted walnuts and grated salty pecorino cheese. 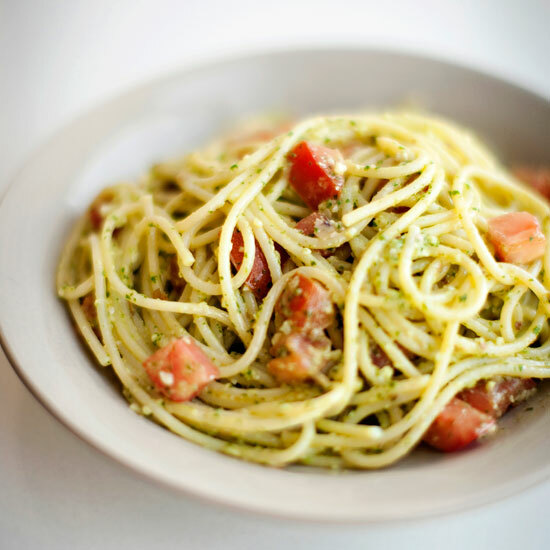 Cookbook author Katie Parla makes a light and fresh-tasting zucchini pesto for spaghetti, but she also adds raw zucchini matchsticks to give the dish a bit of crunch. 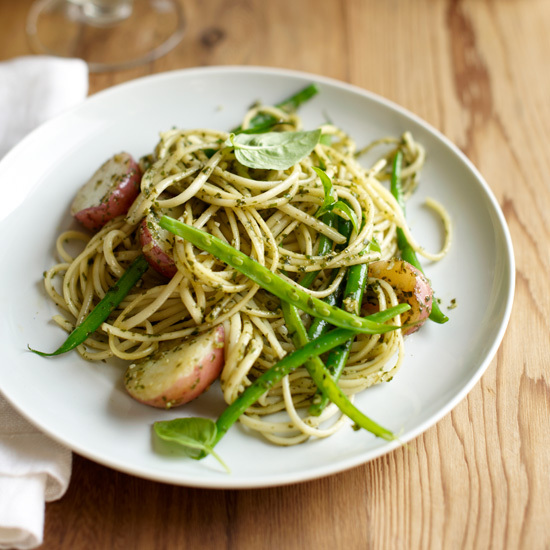 Using asparagus in a pesto with olive oil, Parmigiano-Reggiano, basil and lemon juice creates a very fresh, green and spring-like sauce for pasta. 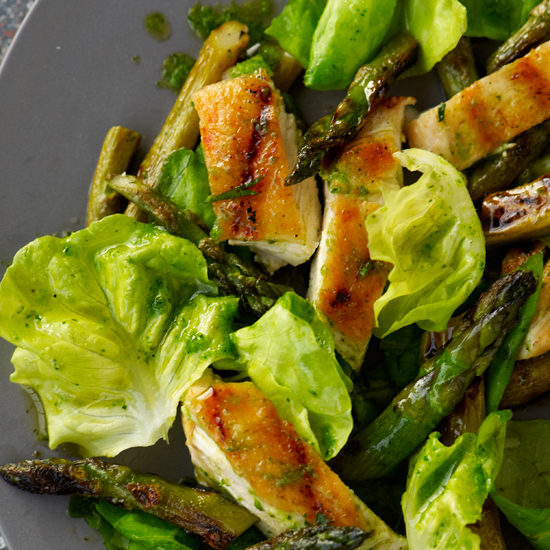 Mint and lamb are a classic pairing. 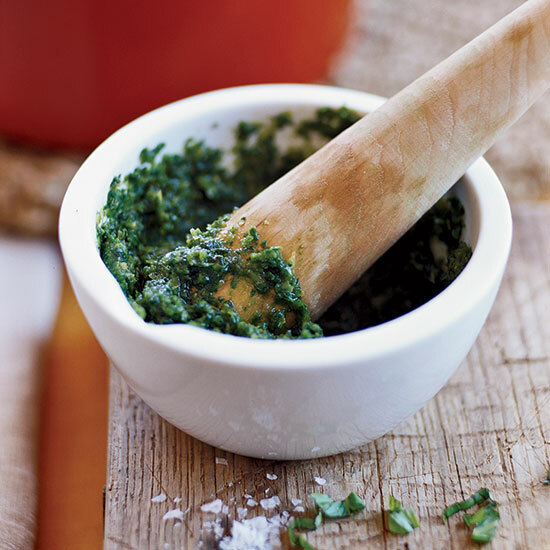 Grace Parisi riffs on the match by kneading mint pesto into ground lamb, grilling the patties, then crumbling them into an orzo-and-feta salad. 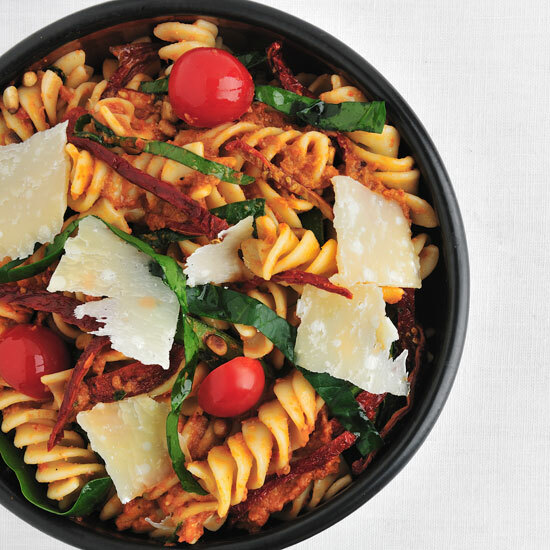 This traditional Italian salad from chef Chris Behr of the Rome Sustainable Food Project is incredibly versatile. 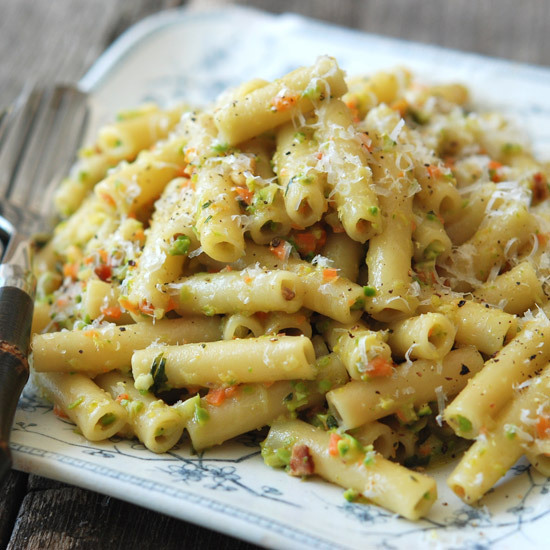 He adds roasted almonds here for crunch, but he also likes to fold in blanched fresh peas and halved pitted olives. 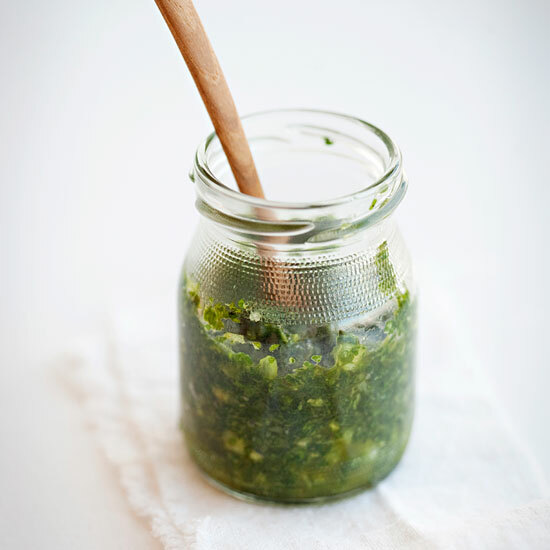 Pistou is an olive oil-based basil sauce from the south of France that closely resembles Ligurian pesto. 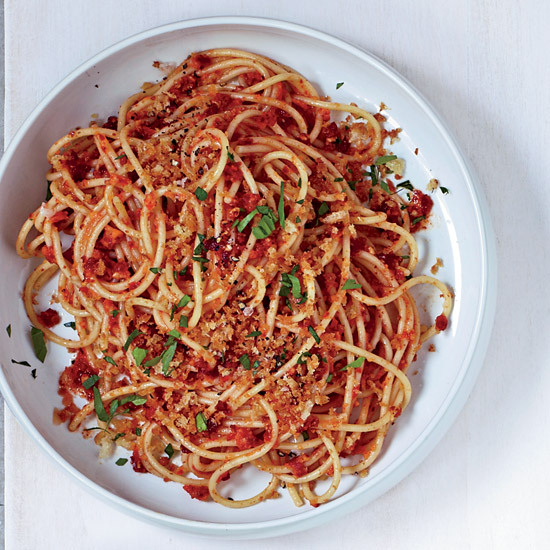 There's only one way to make true pistou—by hand. 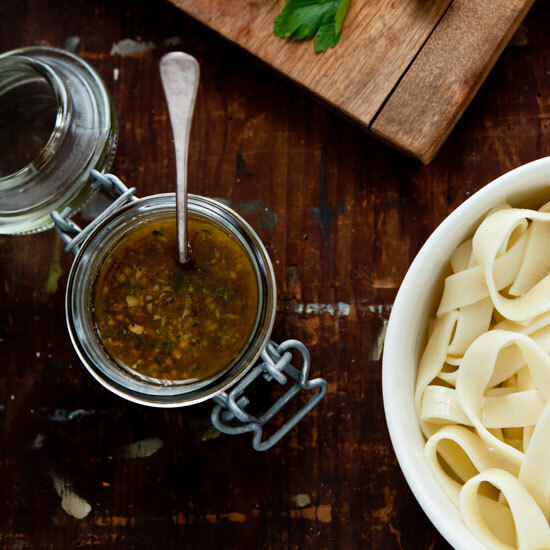 Tear the basil leaves into pieces first, then grind the leaves against the side of a mortar with a pestle to puree them into a silky, creamy sauce. 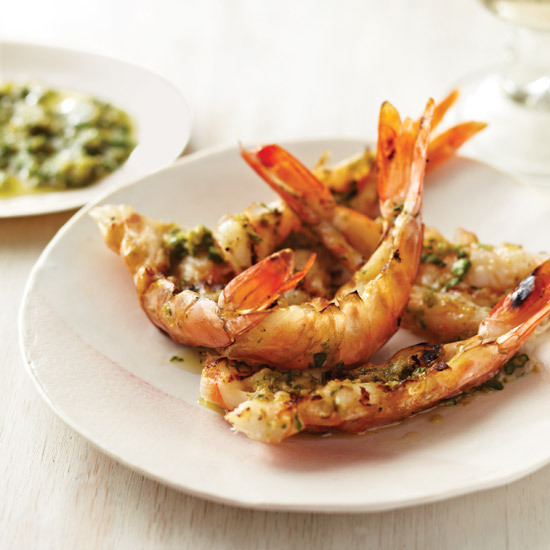 Like its Italian twin, pistou can also be served as an accompaniment to grilled meats, poultry, fish and vegetables. 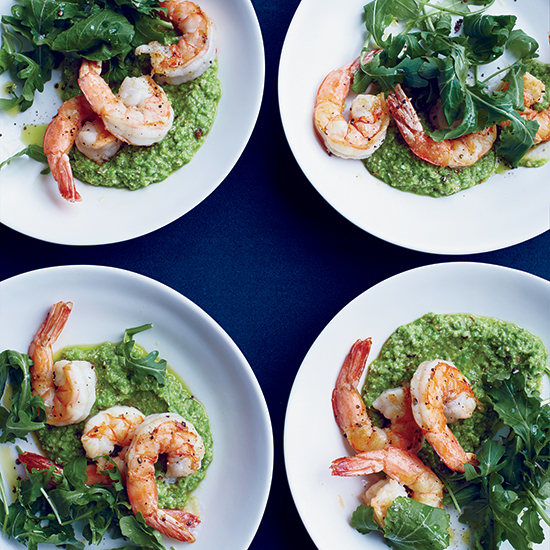 The pea, pine nut and Parmesan pesto for this fast shrimp dish would also make a great dip for crudites. 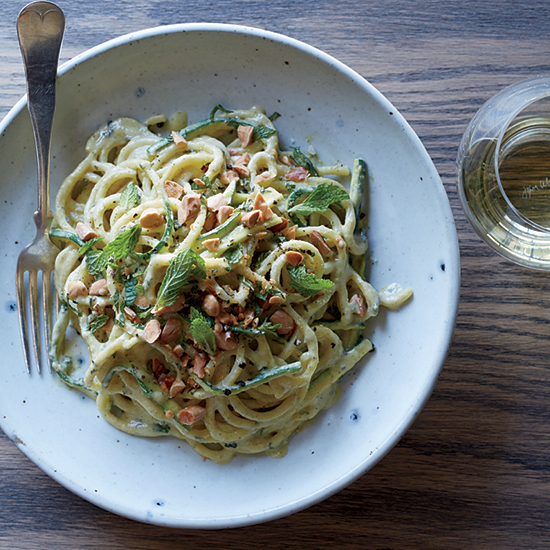 Pair with a brisk, slightly nutty Soave. 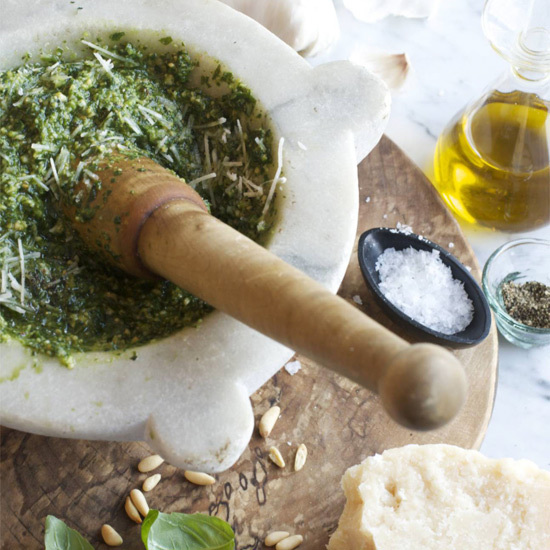 Pounding the ingredients in a mortar produces a pesto of incomparable texture: silky basil leaves and olive oil bind coarser bits of garlic and Parmesan.